The 1982 game didn’t have the goals and goalmouth drama of other cup clashes between the sides, but it was certainly the biggest giant-killing of the lot. Once again, Liverpool arrived as European champions, and this time they were facing a mid-table Division Two side who were, let’s be honest, basically crap. This Chelsea side had been beaten 6-0 less than four months earlier by Rotherham, who would also win 4-1 at the Bridge later that season. This Chelsea side had been knocked out of the other domestic cup competition, the League Cup, by Wigan Athletic of Division Four. 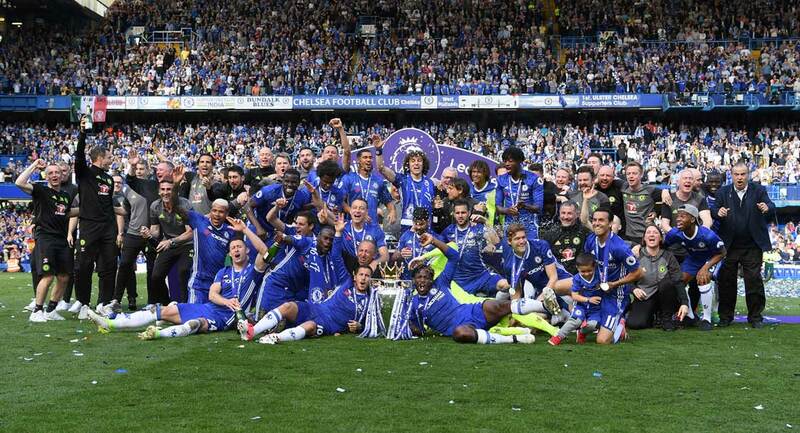 This Chelsea side was one year away from finishing in the lowest position of any Chelsea side ever. Although the likes of Phil Neal, Alan Hansen and Kenny Dalglish remained from the Liverpool side humbled by Clive Walker and Co four years earlier, they had now been supplemented by players of the quality of Graeme Souness, Mark Lawrenson and Ian Rush. Chelsea could boast no such strength in depth, with Chris Hutchings, Micky Nutton and Peter Rhoades-Brown failing to strike fear into the hearts of the Reds players when Bob Paisley gave his team-talk. Peter Rhoades-Brown – now, there was a funny one. He made his debut while he was still only 17, in Chelsea’s last game of the 1970s – a 2-0 defeat at Wrexham – but really caught the eye for the first time in the early weeks of the 1980/81 campaign, when he and fellow wide-man Phil Driver briefly combined to provide a string of opportunities which were snaffled up by target-man Colin Lee, whose 14 goals in as many games helped propel Chelsea to the top of the Division Two table in the autumn of 1980. Sadly, though, in terms of consistency that was as good as it got for the speedy winger from Hampton. For the remainder of his Chelsea career he would continually flatter to deceive, often cruising past his marker only to deliver a cross onto the head of the burly skinhead sitting in Row X. Thankfully, he was wearing Billy Dane’s boots on the day that Liverpool came to town. The match itself was late kicking off, with the teams running out at five to three only to immediately retreat as a game of hooligan tennis was being played out on the North Stand terrace, with Chelsea fans lobbing sticks, stones and coins at their Liverpool counterparts, and the Reds fans eagerly returning the sticks and stones from whence they came. The funniest sight, though, was that of the ball boys, who instead of retreating back into the players’ tunnel with the teams, stood huddled on the halfway line watching the violent scenes unfold, until a club steward strolled onto the pitch and in no uncertain terms reminded them where they were supposed to be. Their eager sprint back towards the East Stand was reminiscent of a hotly-contested school sports day race. 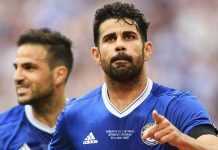 Chelsea had needed two games with Hull City and a further three with Wrexham simply to reach this stage of the competition, but they had no such problems dispatching the mighty Liverpool. The deadlock was broken early on by Rhoades-Brown, whose boots guided him to dispossess McDermott in midfield, and then race onto Colin Lee’s well-weighted pass before firing low past Bruce Grobbelaar in the Liverpool goal. Billy’s Boots then made Rhoades-Brown do some strange screamy, shouty, jumpy, arm-thrashing kind of celebration, the likes of which I hope we never see again. Perhaps the biggest surprise of the afternoon was how well-deserved the victory was. Liverpool conjured few chances, and those they did manage were dealt with comfortably by 17-year-old Steve Francis in the Chelsea goal. Micky Droy and Micky Nutton kept Dalglish and Rush relatively quiet, while Colin Pates nullified the threat of Souness with a midfield performance of incredible maturity. However, the man of the match was Colin Lee, who battered Lawrenson and Hansen into submission, before earning his reward in the closing stages, when his two-yard toe-poke ensured it would be Chelsea that progressed into the quarter-finals. Conveniently, I have forgotten who we lost to in the last eight. Next articleBLUES TO SEND TRAVEL-SICK WANDERERS PACKING?